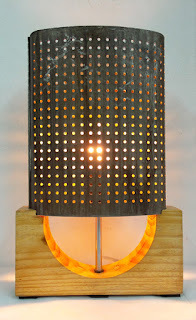 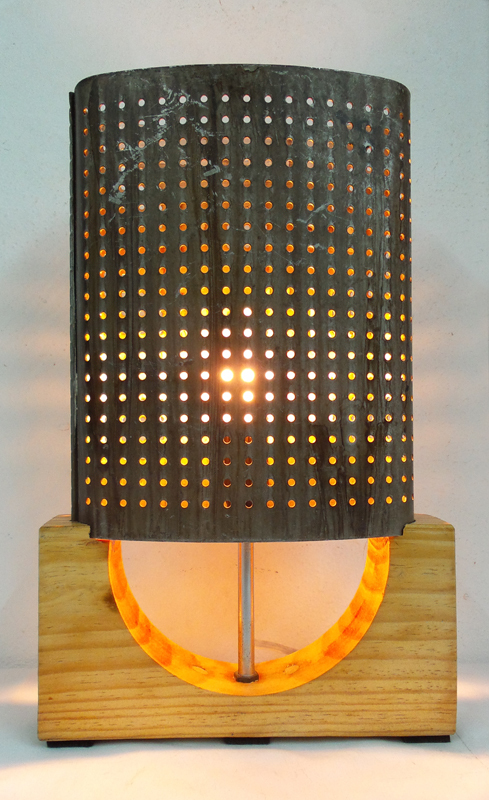 'Hul' (Danish for 'Hole') is a sleek table lamp that combines a lovely industrial oval piece made out of perforated steel sheet and a reclaimed solid pinewood base in the shape of a 'U'. The result is close to the famous Danish Midcentury Modern design, thus its name... check the pictures below and the 'Making Of' section for further details. 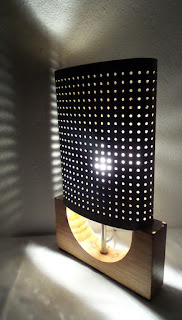 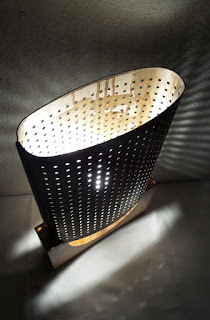 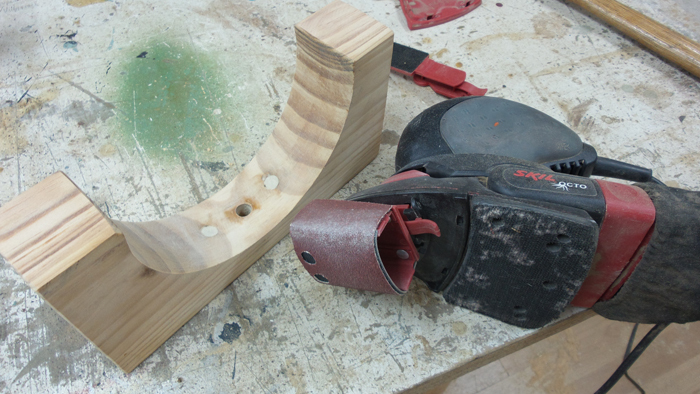 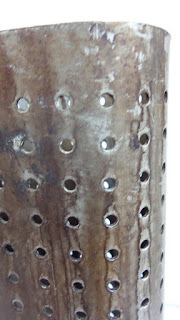 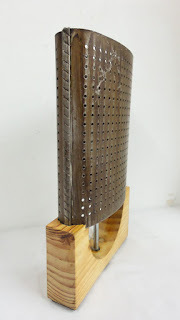 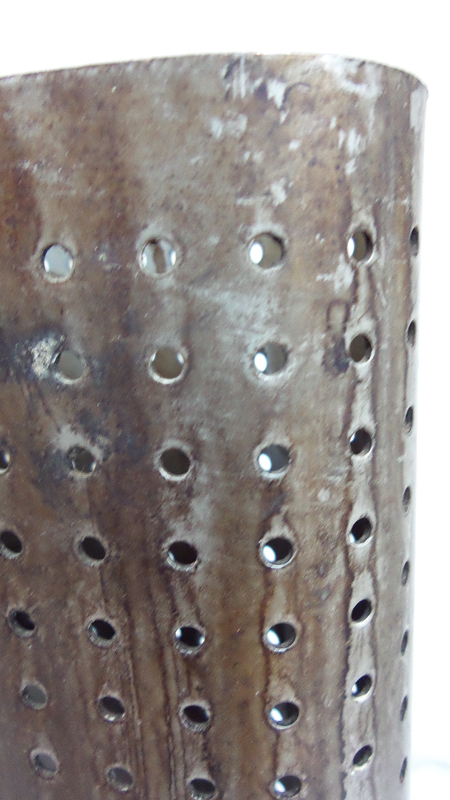 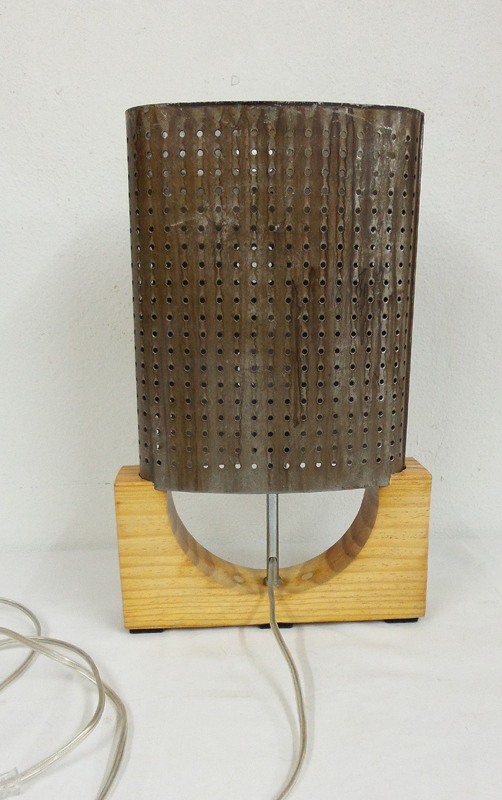 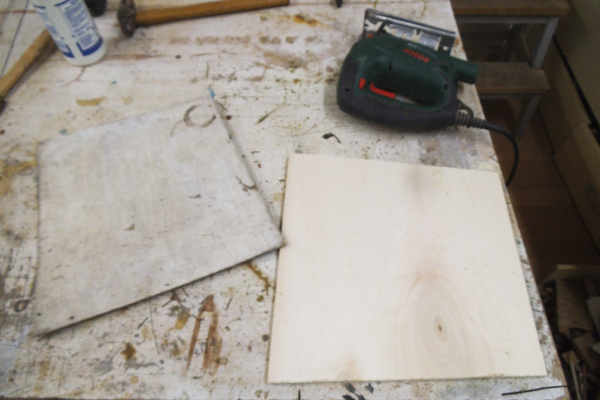 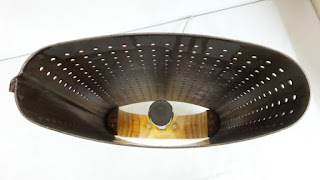 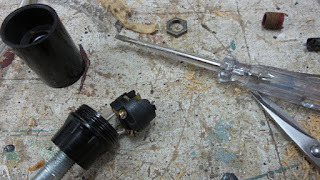 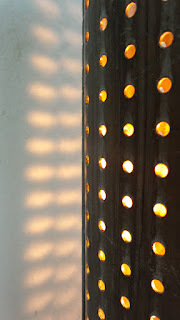 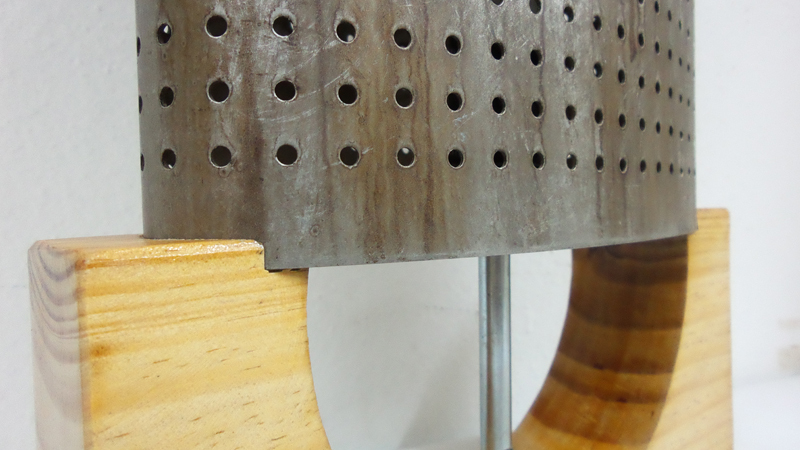 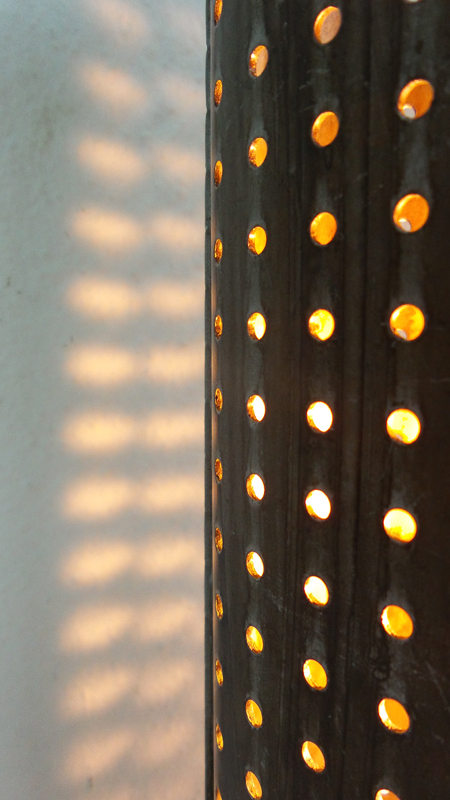 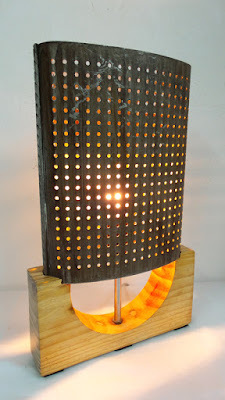 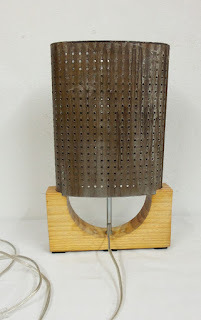 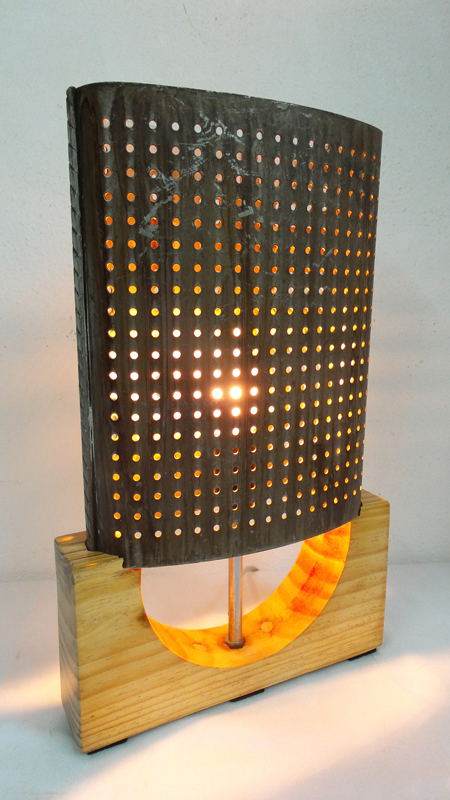 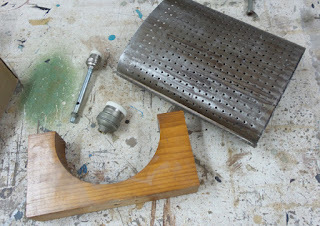 Some pictures taken during the MAKING process: The main parts used to build the lamp; filling the unnnecessary holes that were in the reclaimed wooden piece. 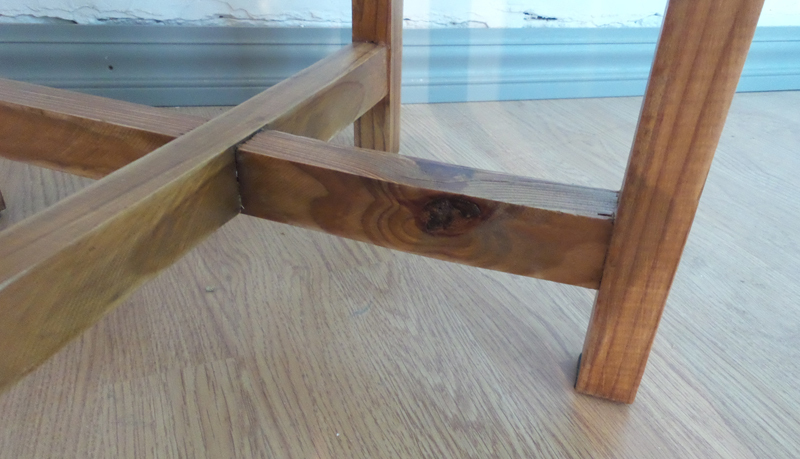 I stripped off the old ugly varnish, and sealed the pinewood with several coats of clear varnish. Wiring the lamp. Mounting all the parts. 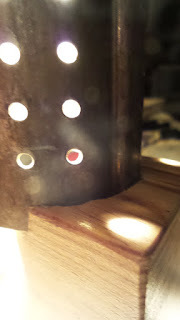 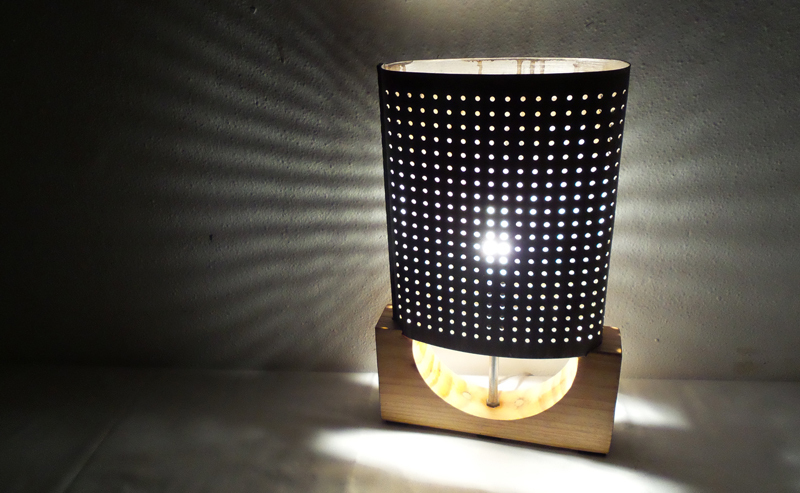 I didn't take a picture while drilling the grooves to slot the metallic shade into the wooden base, but the result can be seen in this last shot, while testing the lamp. 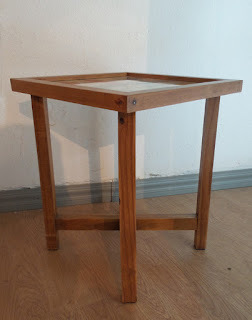 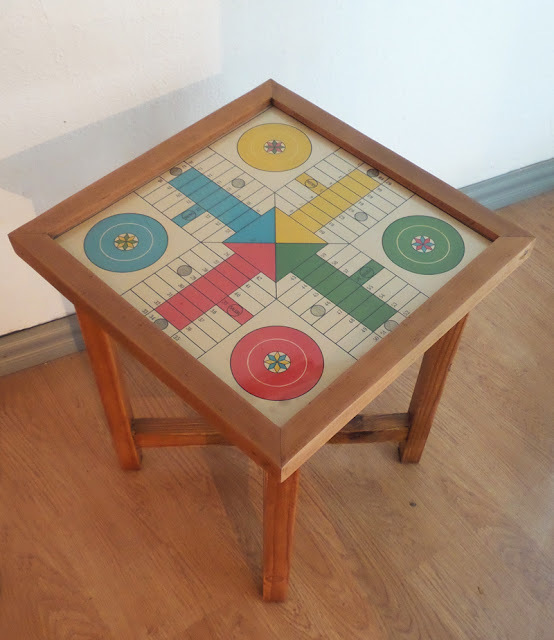 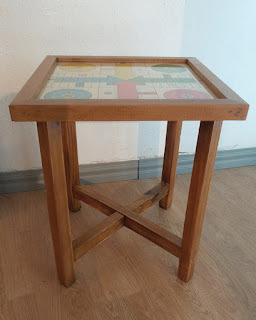 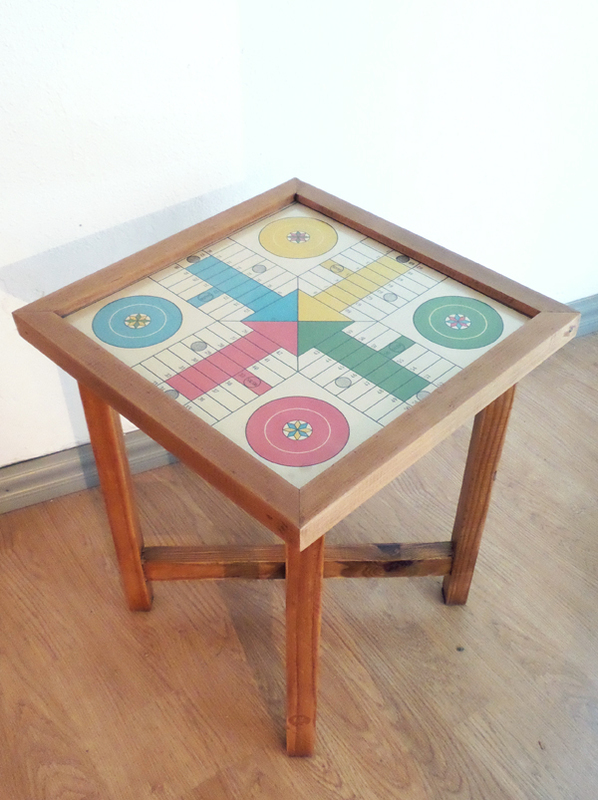 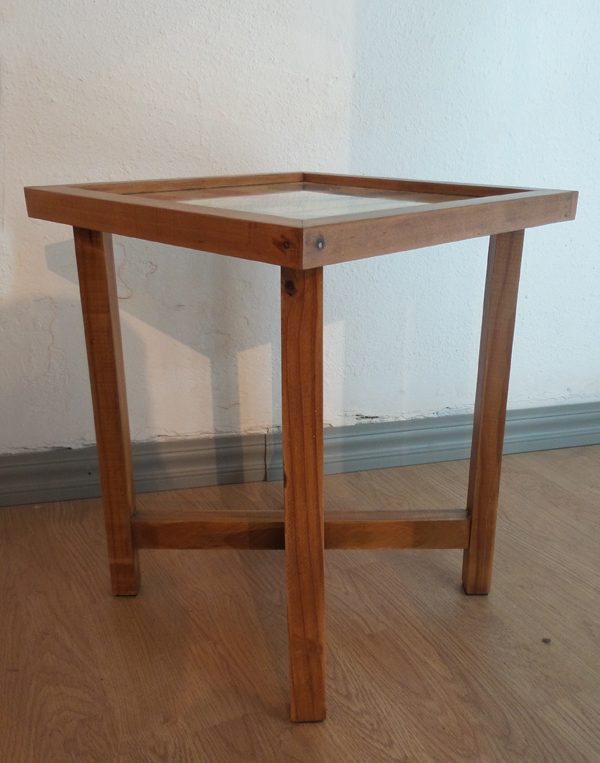 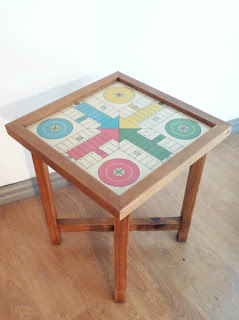 I have just finished this groovy side table, made out of a vintage 'Parchís' Spanish gameboard on paper with a glass cover, a frame made to measure using solid teak and adapted vintage solid pinewood legs with a nice structure in an X shape. 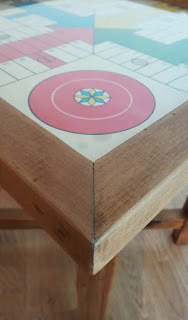 Measures: tabletop 42 x 42cm, 50cm high. 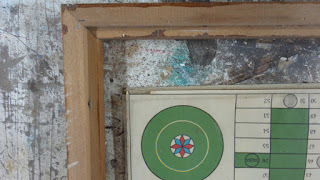 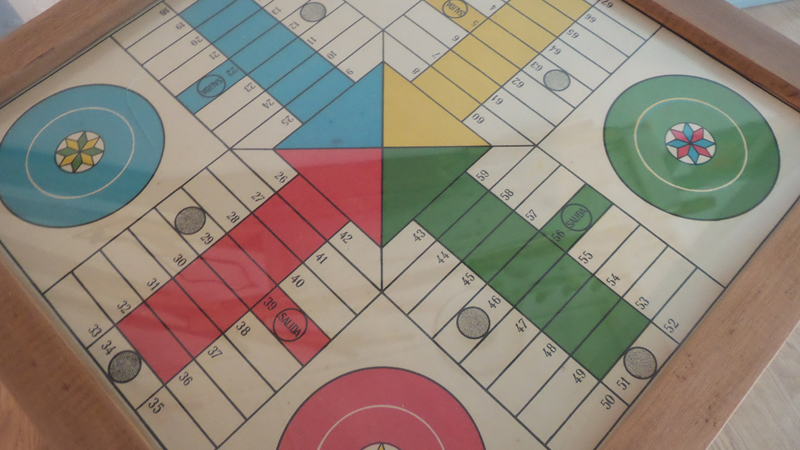 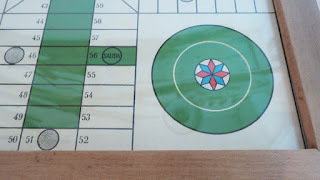 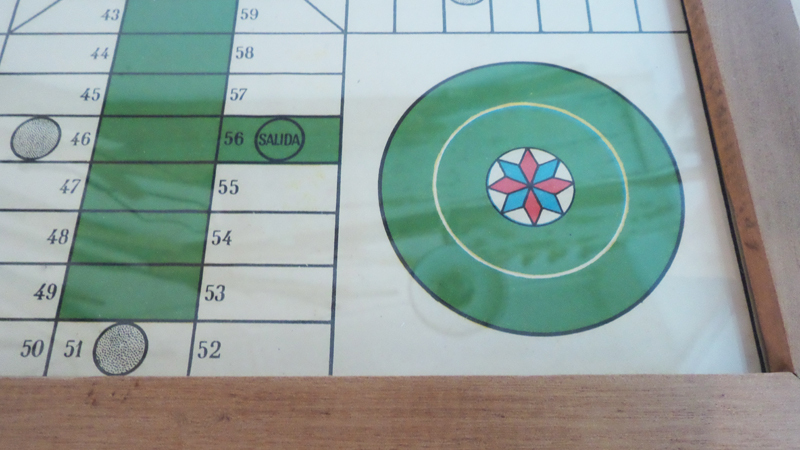 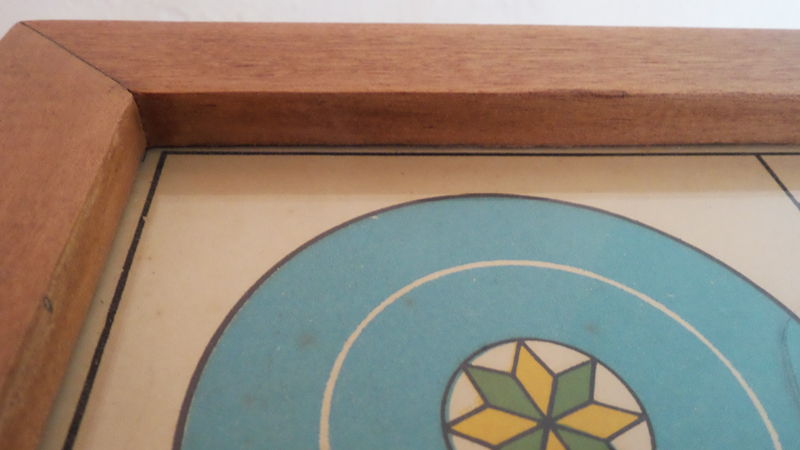 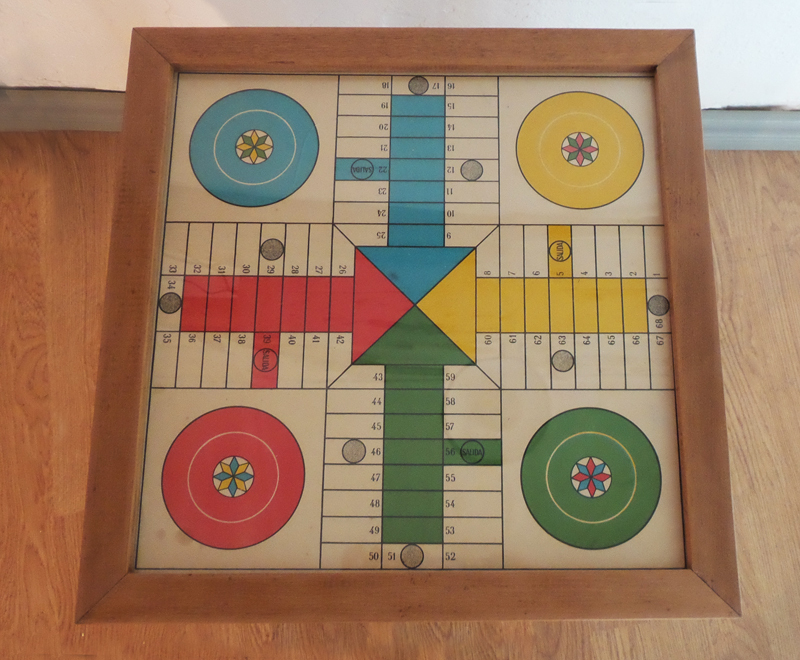 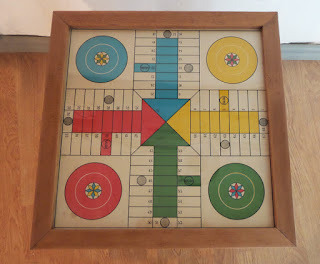 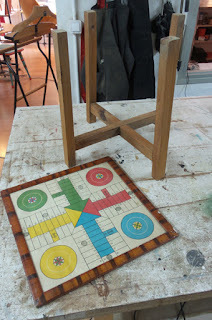 I took the gameboard off its original frame, and built a 'new' one out of an old solid teak one that had the perfect look and width for this project. 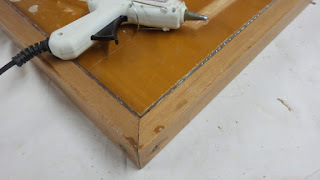 I used the router to carve a second groove in which the board plus glass will slot in. 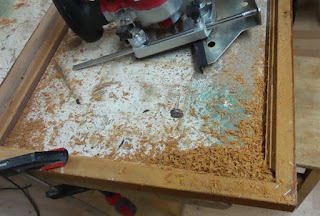 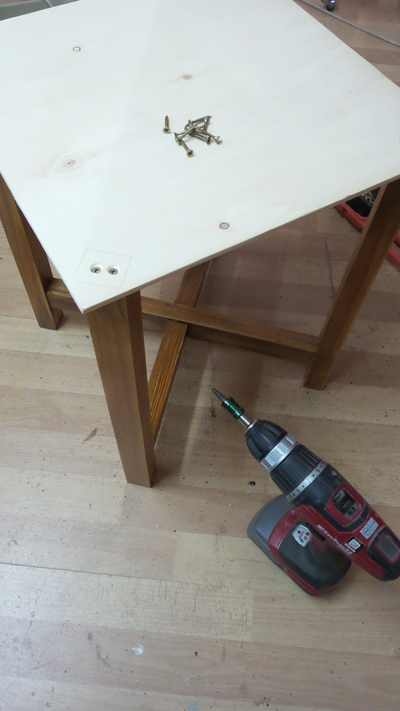 The wider groove would accomodate the tabletop base. 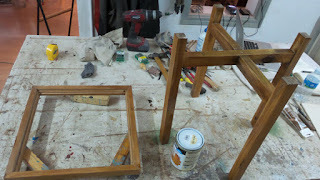 Sanding the teak frame. 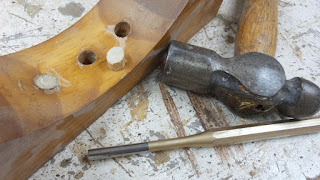 Sealing all the wooden parts with several coats of clear varnish - it got polished afterwards for a smooth, satin finish. 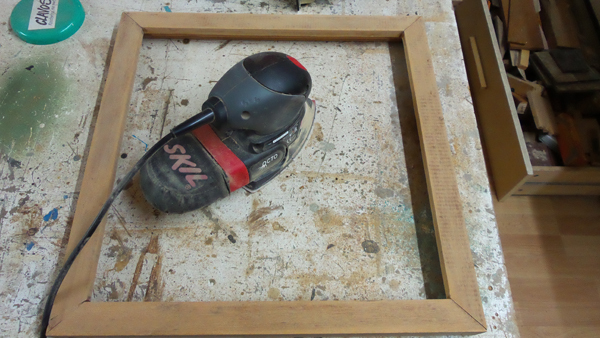 Fastening the board and glass to the frame. 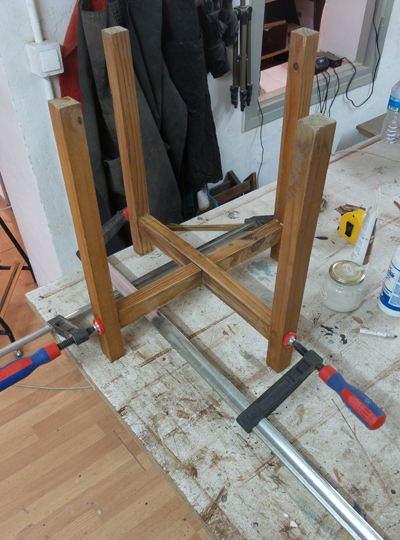 Final steps: securing the tabletop base to the legs structure, and then the whole tabletop to the base. 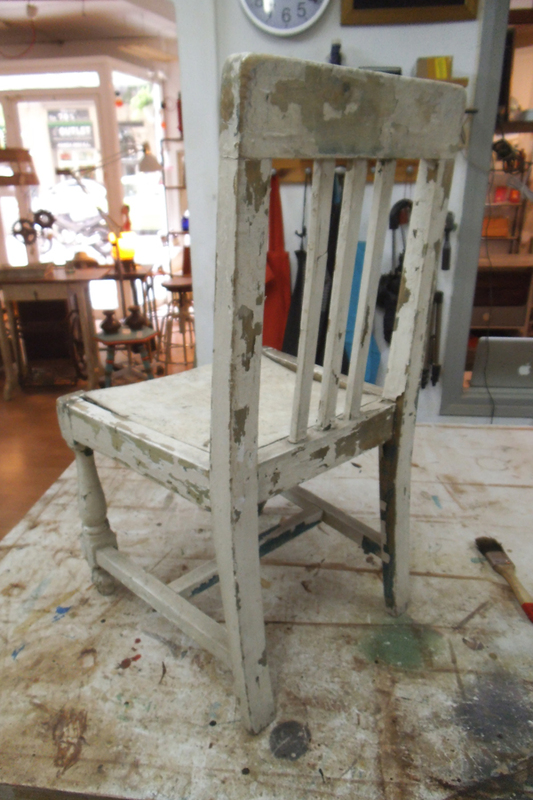 I recently restored this cute little chair in solid beech wood, probably made for a child in the first decades of the 20th Century. It was very tattered and even missing part of one of the front legs, but I thought that shabbiness only added to its charm. 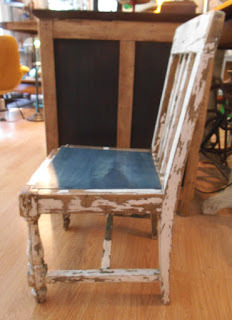 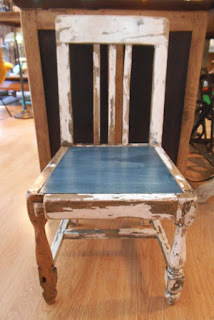 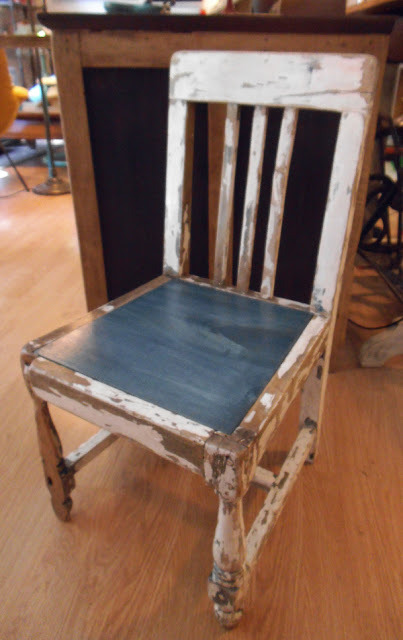 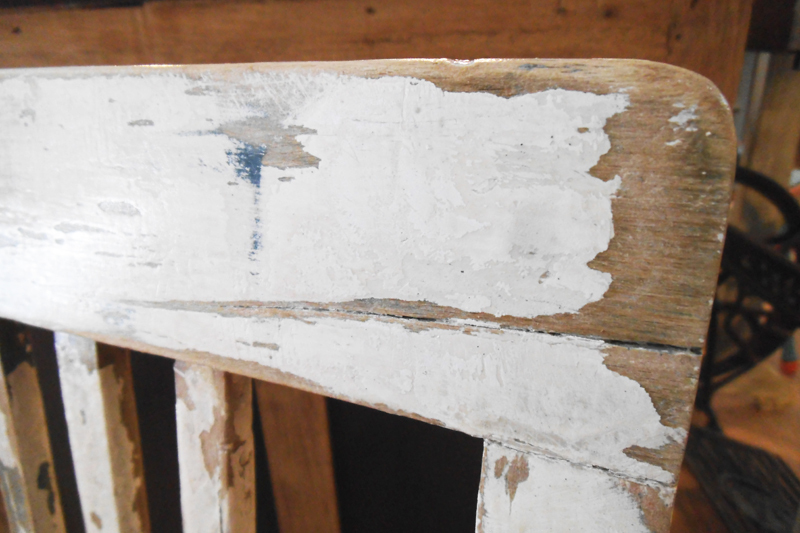 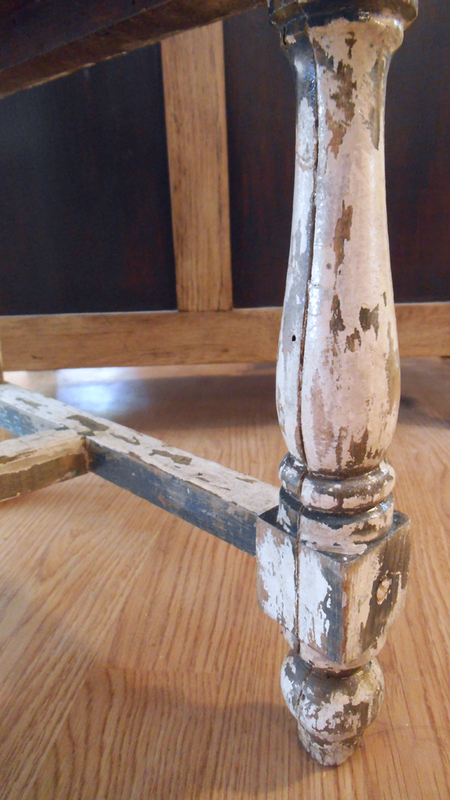 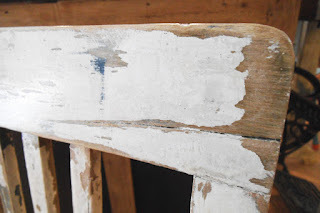 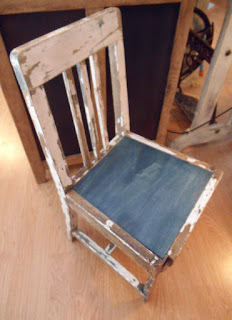 I even emphasized the distressed look by sanding some parts here and there to reveal the gorgeous navy blue in which the chair was originally painted. 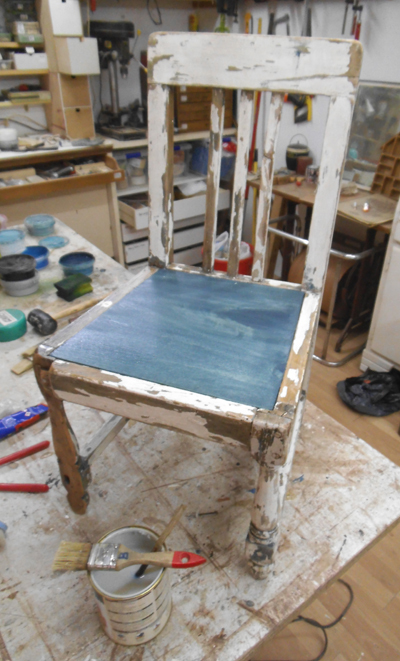 The new seat is dyed in a matching tone too. Check the 'Making Of' section for the detailed description of the restoration process -now the structure is solid again, and the little chair has many years of life ahead! 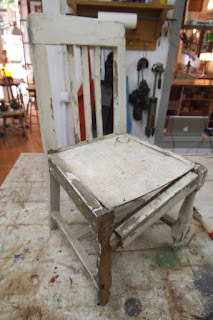 Measures: seat 34 x 36cm, 32,5cm high. 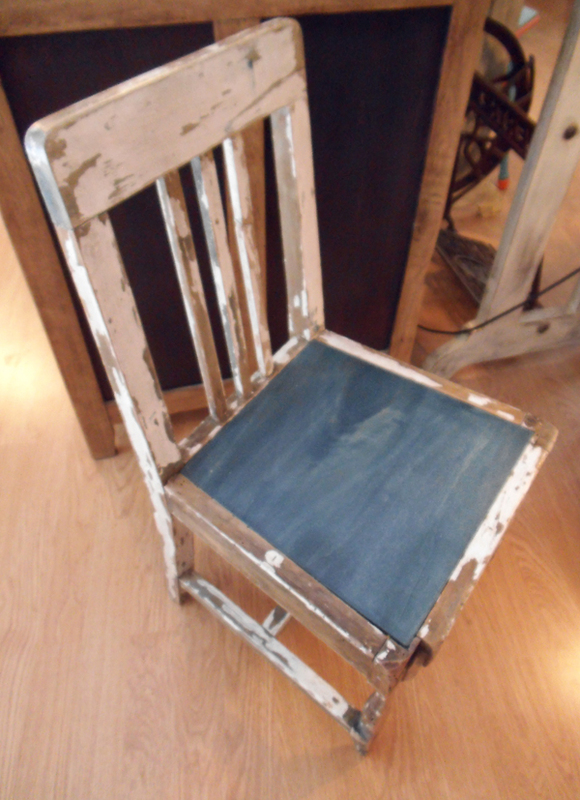 Back rest height 68cm. 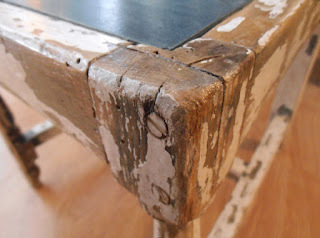 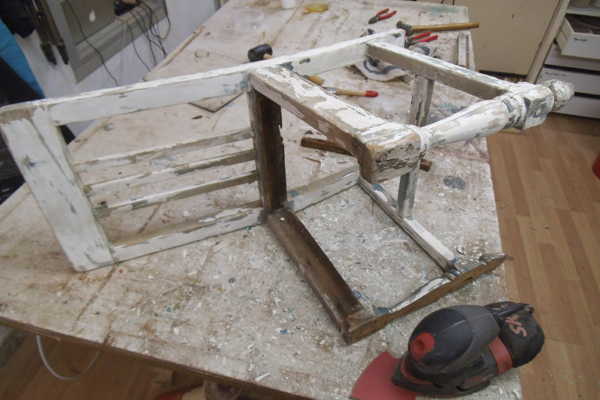 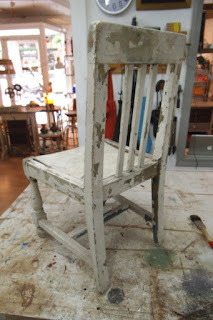 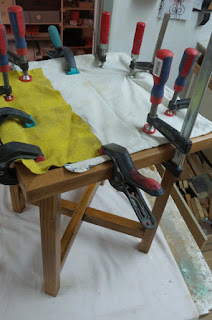 Pictures taken during the MAKING process: Here below, the chair prior its restoration. Cleaning and sanding the structure. 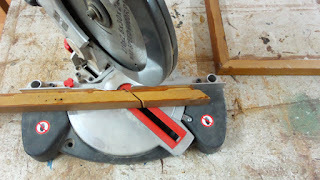 The seat was in such a bad state that I cut another one to measure, out of beech wood plywood. 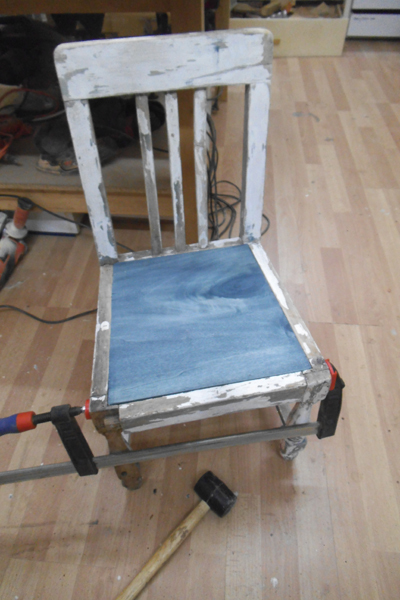 Staining the new seat with a matching deep blue tone. Then, I repaired and reinforced the structure. 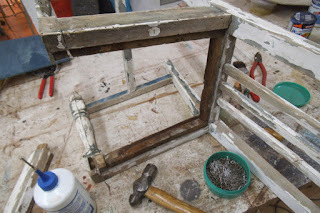 Securing the seat and the front of the structure. 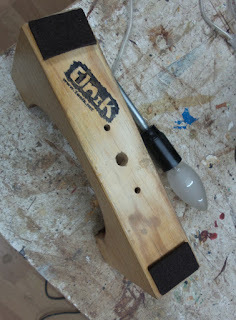 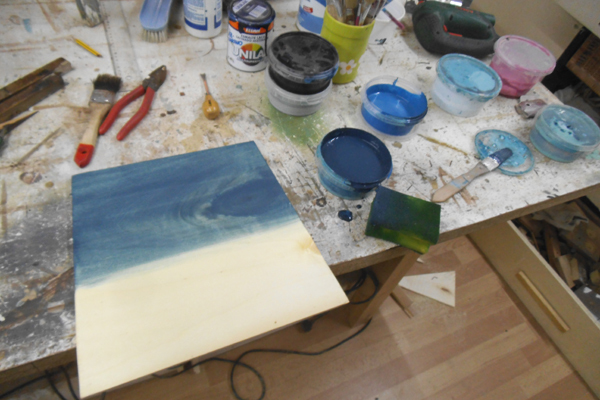 The final steps: sealing it all with clear varnish, and then polishing for a smooth touch.